If you’re a long-time Trans-Siberian Orchestra fan, you may already know about their 2016 winter tour. And those of you who are familiar with their music—but have yet to see them in concert—you’re in for a treat! Between now and the end of the year, TSO will be performing dozens of shows across the United States. Titled The Ghosts of Christmas Eve, these concerts will feature some of TSO’s greatest hits, clips of The Ghosts of Christmas Eve TV special, and a live narrator. Eeee! After watching the preview above, I really want to go! 🙂 My favorite part is the very end when the choir sings “Christmas Canon.” (Click here to view a full video of that song.) 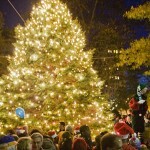 The Trans-Siberian Orchestra is performing from Jacksonville to Seattle and many places in between. 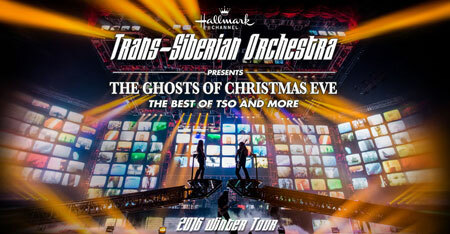 To see if they will be performing in your city and to purchase tickets, visit the Trans-Siberian Orchestra’s website. When you purchase your ticket online, you’ll also get a digital copy of TSO’s new album!